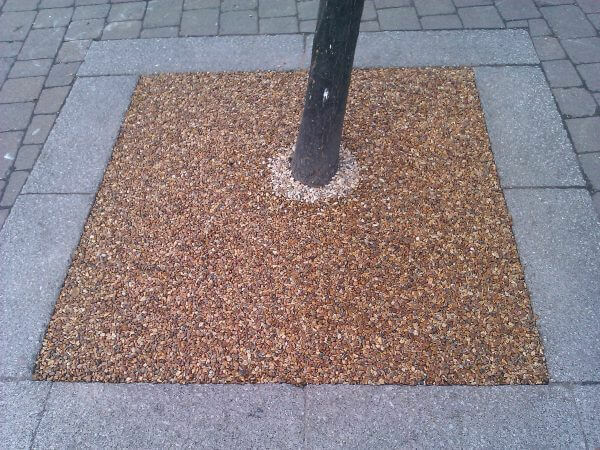 Resin Bound Tree Pits are an attractive, practical and environmentally friendly solution for covering and protecting the bases of trees where soil and roots are exposed. 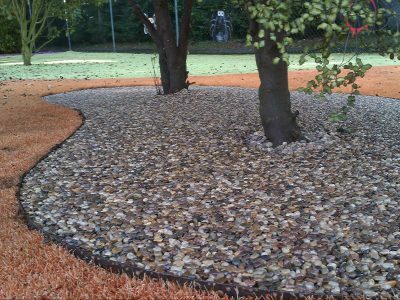 This permeable system helps to alleviate vandalism, litter entrapment and messy loose gravel while giving a smart finish and still allowing the tree to grow. The finish consists of a high strength UV stable, twin-pack, polyurethane resin with a 6-10mm sized washed and kiln dried gravel. 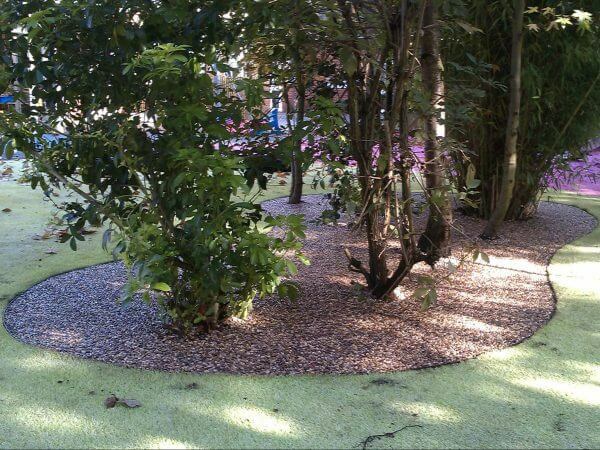 We supply all necessary resin and a range of natural aggregates for the BoundWorx® Tree Pit system. If you would like to discuss supply costs and colour options please do not hesitate to give us a call or contact us through our contact form available here. 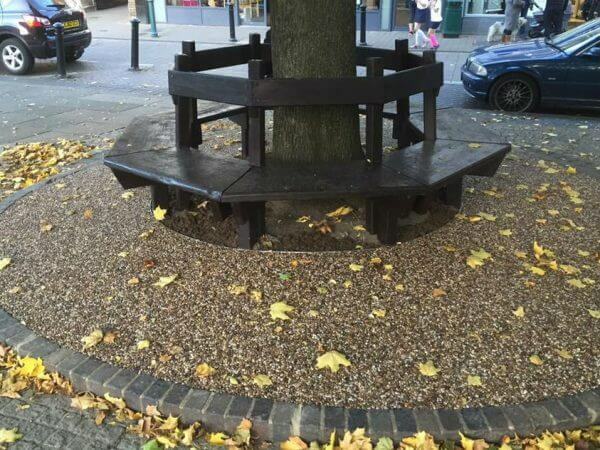 To prepare for Tree Pit installation you need to have a solid edge detail such as concrete or similar, and the area needs to be clean and dry with well compacted urban tree soil. 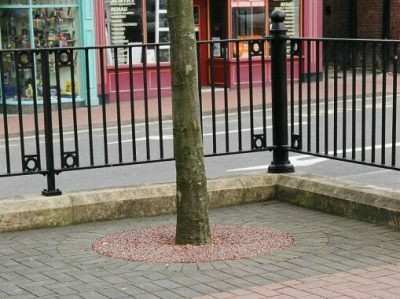 The resin and aggregate are mixed together in a Forced Action Mixer and then trowelled to a depth of 50mm for pedestrianised areas For areas that will take occasional vehicular traffic, or that have wide spans, should be laid at a depth of 75mm or more, depending on the anticipated traffic loading and the span. For small areas we can supply the materials in smaller units which can be mixed in a tub with a 110v drill and paddle mixer before trowelling, eliminating the need for a Forced Action Mixer. To aid grip, particularly with rounded aggregate finishes, we recommend you scatter a fine layer of glass grit or clear quartz sand after the materials have been laid and before the resin has cured. For more detailed instructions and technical information contact us and request the BoundWorx® Tree Pit data sheet.